Today we will cast on for the body with with the Two-Tail Long-Tail Cast-on, then we will move our working yarn over to the end of the button band, as well as go over making buttonholes. Just a reminder that buttonholes are made on *both* button bands. And if your row gauge is different than the pattern gauge, be sure to account for that when creating your buttonholes as we work our way up the body. Kathleen is wearing Sailor's Valentine. Pattern available here. Happy Friday! Getting ready to cast on a sleeve for my 2nd #solsticecardi. 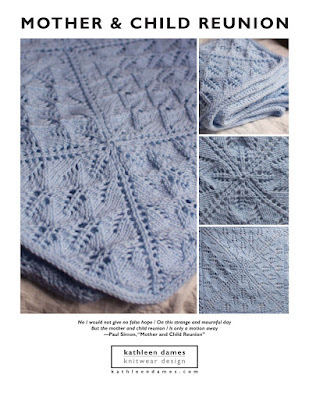 Kathleen’s yarn is Camelot in the Orkney colorway from Round Table Yarns. The adorable ruler is from the Ravelry Mini Mart and made by Katrinkles on Etsy. A little more on integrated button bands. And, yes, you do work buttonholes on both bands as you go, so you'll know *exactly* where to sew on your buttons. If you want to learn more about spins and plies and weights of yarn, Clara Parkes’s first book, Knitter's Book of Yarn, is an excellent way to get started. And now that you know all about yarn, you might be interested in learning more about the wool itself from the Knitter's Book of Wool. Breed-specific yarns hand-dyed in beautiful shades from Sheepspot. Does your new project need a new bag? My friend Alex makes lovely ones! 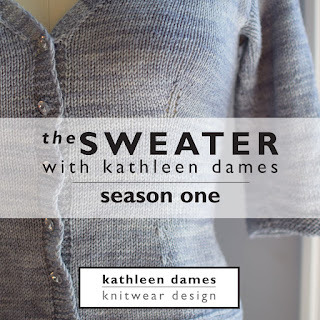 Kathleen is wearing Sotherton, originally published in Jane Austen Knits, Summer 2012. Pattern available here.